The Court of Adjudication is available to decide appeals from disciplinary decisions and questions regarding interpretation of the NALC’s governing documents. The seven people who have served the North American Lutheran Church for its first year as provisional members of the NALC’s Court of Adjudication were unopposed for their positions and will continue to serve in terms of one to four years. Jon Evans, an attorney in Pittsburgh, Pa., practicing primarily in the areas of corporate and real estate law. He serves on the Western Penn CORE Fellowship Steering Committee. Jim Gale, a business litigator in Washington, D.C. 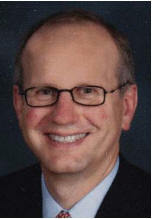 He has served as chair of the Gustavus Adolphus College Board of Trustees and has expertise in the structuring of nonprofit corporations and in drafting governance documents that establish the desired structure. He served on Constitutional task forces for both Lutheran CORE and the NALC. The Rev. Dr. Jeffray Greene, pastor of American Lutheran Church in Rantoul, Ill. He earned a Ph.D in church administration with a focus on the development of the constitution in American Lutheranism. He was a leader of the Fellowship of Confessional Lutherans and served on Lutheran CORE’s Advisory Council. The Rev. Ralph Kempski, Aiken, S.C., bishop of the Indiana-Kentucky Synod of the Lutheran Church in America 1979-1987 and of the Indiana-Kentucky Synod of the ELCA 1987-1998. He was a representative of the ELCA Board of Pensions 1998-2004. He served on the Lutheran CORE Ministerial Policies working group. Carolyn Nestingen, an attorney in Minneapolis. She has practiced law for more than 30 years, focusing on employee benefits, pension, and trust law. She was a member of the Lutheran CORE Vision and Planning Working Group which prepared the design for the NALC and the ongoing ministry of Lutheran CORE. She is married to renowned Luther scholar the Rev. Dr. James Nestingen. The Rev. Dr. Ron Warren, Grove City, Ohio, bishop of the Southeastern Synod 1995-2007. He was a member of the Lutheran CORE Vision and Planning Working Group which prepared the design for the NALC and the ongoing ministry of Lutheran CORE. He has also served as the NALC’s provisional dean for Ohio. Richard Currey, a staff attorney at the Air Academy Federal Credit Union in Colorado Springs, Colo. He served in the U.S. Air Force before retiring at the rank of colonel.